The National Registry of Emergency Medical Technicians today launched a new volunteer initiative for the advancement of National EMS Certification examinations. Through this initiative, diverse groups of volunteer EMS professionals will collaborate with National Registry staff to develop accurate and fair examinations. “This is an exciting opportunity for the community to shape the future of the EMS profession,” said National Registry Chief Testing Officer Greg Applegate. Recertification for EMRs is now open. 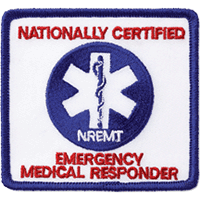 The entire recertification process can be completed online at NREMT.org. The recertification fee for EMRs is $10, but there is an additional $5 processing fee for all paper applications. You may also recertify by examination. Please remember that any continuing education you intend to count toward this recertification period must be obtained before September 30, 2017. If you are applying for recertification in an NCCP state, you may use the 2012 or 2016 NCCR requirements OR any training approved under the traditional recertification model for this year. As mentioned in previous bulletins, the National Registry Board of Directors has announced the appointment of seasoned national EMS leader and former National Registry Board Chair Drew Dawson as Interim Executive Director, following notification of the pending resignation of current Executive Director Severo Rodriguez. 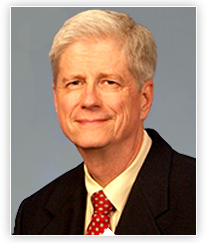 Mr. Dawson, retired Director of the National Highway Traffic Safety Administration Office of EMS, will begin work with the National Registry immediately and will assume full responsibilities as the Interim Executive Director on September 1. What if I can’t remember my username and password information? If you know your username you can reset your password on the National Registry website by clicking the “Forgot Password” link. If you need both username and password, you can use the automated phone system by calling the National Registry at 1-614-888-4484 and choose option #1. Why haven’t I received my email that I’m authorized to test (ATT)? It can take 1-2 business days for an ATT to be issued once an application is complete. How long is an Authorization to Test valid for? An authorization to test (ATT) is valid for 90 days from the completion of an application. Completion includes course, and in some cases, practical skills verification, and payment. The ATT will list the expiration date of the authorization on the letter. Recertification by Exam ATT’s are valid from the date issued until 03/31 of the candidate recertification cycle. Once an ATT has expired, no refunds can be issued. What does the National Registry accept as valid continuing education? The National Registry accepts continuing education that has received official approval through your State EMS office and/or the Commission on Accreditation of Pre-Hospital Continuing Education (CAPCE). Continuing education topics may include subject matter contained within the National Scope of Practice as well as other subject matter specifically related to emergency medical patient care. Continuing education may be obtained through a variety of delivery methods including didactic sessions, practical drills, workshops, EMS conferences, and distributive education. Where can I find refresher courses/ continuing education? The National Registry accepts continuing education that has received official approval through your State EMS office and/or the Commission on Accreditation of Pre-Hospital Continuing Education (CAPCE). Continuing Education can be completed with any state approved education program, including but not limited to community colleges, vocational schools, local EMS agencies, or online education providers. Contact your state office or visit the CAPCE website for more information. Continuing education may be obtained through a variety of delivery methods including didactic sessions, practical drills, workshops, EMS conferences, and distributive education. How do I submit an application for my 4th attempt and where do I submit my remedial training? Once you have submitted the application it will be reviewed by one of the National Registry Certification Representatives; who will then contact you via email requesting the necessary documentation. How to I find my Psychomotor Authorization to Test (PATT) number? Where can I find my advanced level psychomotor exam results? How long does it take to process paperwork submitted for applications? All of these times are subject to change during times of high volume of applications being submitted. What is the process of regaining National Certification after it has lapsed? If your National EMS Certification lapsed within a two year period or you are currently state licensed as an EMR, EMT, AEMT or Paramedic, you can obtain National EMS Certification by completing a state-approved Refresher course and successfully completing the cognitive and psychomotor examinations. If your National EMS certification lapsed beyond a two-year period and state certification at EMR or AEMT level has not been maintained, you will need to complete a new course to be eligible for National Certification. If you have lapsed beyond a two-year period and state certification at the EMT or Paramedic level has not been maintained, you can use EMT or Paramedic Re-Entry Policies to regain National Certification. Last month, the National Registry research team welcomed the newest EMS Research Fellow, Madison Rivard. Madison joins the National Registry family from Sharon, MA. She recently completed her Bachelor of Science degree at Simmons College in Boston, MA and worked as an EMT at Fallon Ambulance Service. In addition to working as a researcher at the National Registry, Madison will be pursuing graduate studies at The Ohio State University. Data collection for the fifth year of the second Longitudinal EMT Attributes and Demographics Study (LEADS II) has been completed. For all members of the LEADS II study, we thank you for your continued participation! LEADS II began in 2013 and will continue for 10 years in order to assess changes in the EMS profession over time. Topics evaluated through the LEADS II project include demographics, employment characteristics, stress, and cardiovascular health. During the lull of the academic year, the National Registry's Research Team has been busy publishing and preparing for conferences this summer! Through several of our on-going collaborations, we have had multiple manuscripts accepted to Prehospital Emergency Care and Prehospital and Disaster Medicine. We have submitted several abstracts of our work at several future conferences including the American Heart Association’s Scientific Sessions in November and the annual meeting of the National Association of EMS Physicians next year. As always, we welcome new collaborations and project ideas! EMTs, AEMTs and Paramedics whose certification expires March 31, 2018, can now begin the recertification by examination process. Please note that some states mandate a refresher course for recertification. Check with your state office to verify your recertification by examination eligibility. The National Registry's new criminal background check evaluation process launched recently and offers significant improvements over previous processes. The new process is fully integrated with the application, allowing applicants to upload documentation themselves, and the types of convictions that require reporting have been reduced. New functionality is coming this fall to the NREMT.org recertification portal! The newly-developed EMS Education Transcript will allow users to easily track all of their EMS education in one convenient location. The EMS Education Transcript will enable users to import and store a lifetime of certificates and education information from external sources — and then to seamlessly add their stored education information to National Registry recertification applications.